The Dimple Base high ball glass is great value despite it's heavy weight that makes it feel a lot more expensive than it actually is. 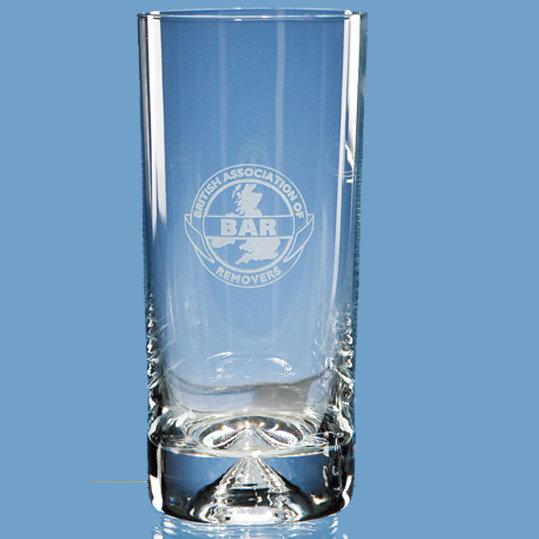 It can be personalised with any crest, logo or wording to create a gift that is sure to take pride of place when put on display at home or at work. Options available include single or double satin lined presentation boxes.